NBFA is the state’s only progressive Pre-K through 8th-grade public charter school with emotionally responsive practices. This student-centered approach weaves mental health strategies into every classroom while encouraging experience-based learning and inspiring children to make sense of the world around them through hands-on activities both inside and outside the classroom. New Beginnings Family Academy believes that building relationships with students and understanding what their needs are is central to educating the whole child. Thus, NBFA makes sure staff members are trained and have continued access to coaching in SEL based relationship-building techniques. 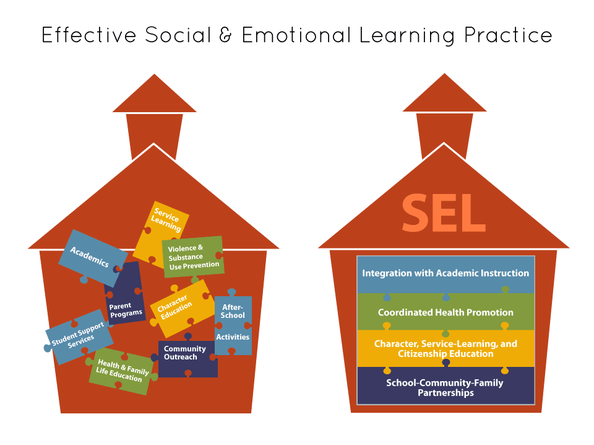 As a member of Bank Street’s Community of Safe and Sound Schools, NBFA offers Emotionally Responsive Practices to ensure students’ emotional and academic needs are being met. The emotionally responsive curriculum allows teachers and staff to address unresolved issues and enhance children's attention and motivation for learning. Deeply understand our students and their needs by building meaningful relationships in the classroom. Provide integrated instruction that makes learning exciting and relevant to students. Facilitate learning in a way that affirms and respects students’ individual needs, styles, and interests. Weave emotionally-responsive practices into all of our classrooms to enable all students to learn optimally.